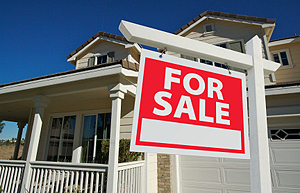 In May sales of new single-family homes jumped 7.6 percent, month-over-month, to a seasonally adjusted annual rate of 369,000, U.S. Census Bureau and the Department of Housing and Urban Development numbers reveal. The data, released today, also show a 19.8 percent increase, year-over-year. “May’s sales report is a welcome sign that the market has returned to a more solid growth path following lackluster reports in March and April, and is keeping in touch with our expectations for continued, steady improvement through the end of this year,” David Crowe, chief economist at the National Association of Home Builders, said in a separate statement. About 154,000 homes have sold to date this year, compared to 130,000 at the same time a year ago. The uptick in sales yielded a constrained supply. Just 4.7 months worth of new home sales supply remained on the market, a 6 percent drop from April. That pushed the median price up 5.6 percent over the last year to $234,500. However, the median amount paid for a new home fell by $1,500 since April. Broken down by region, the Northeast saw the greatest month-over-month gain: 36.7 percent. The South came in second with a 12.7 percent month-over-month climb. But the Midwest and the West posted respective declines of 10.6 percent and 3.5 percent, though their year-over-year figures posted gains of 2.4 percent and 10.8 percent, respectively.